This course will build an understanding of the commodity market in India & the international market. Learn all the ins-and-outs of the commodities future and how to make profitable trades. Commodity Market is the most important part of Financial Market and this market is different then Capital and Derivative Market and there is totally different Exchange for commodity Trading . We Trade in Primary Economy Market in Commodity Sector. However to work in this Market , complete understanding of this market is required. This is Self Learning Program – No Interaction or doubt sessions will be provided. Students can pursue a career as a Commodities Analyst, Trader, research analyst, commodities trader, and Relationship Manager in Broking firm Commodities trading houses. “Commodity Market” course videos are for educational and information purpose only. Please refer our website for course details. We advise you to understand the strategies well and use your own discretion to use them in live markets. Paper trades initially suggestive. 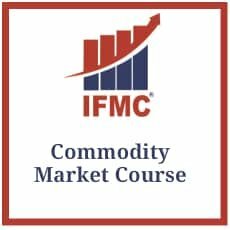 The commodity course is scientifically designed on the basis of technical, fundamental, derivative, future, and options platforms. We use the logical approach to initiate trades in the stock market. Learn the basics of derivatives and pricing mechanism of the future. The course intends the to guide students .